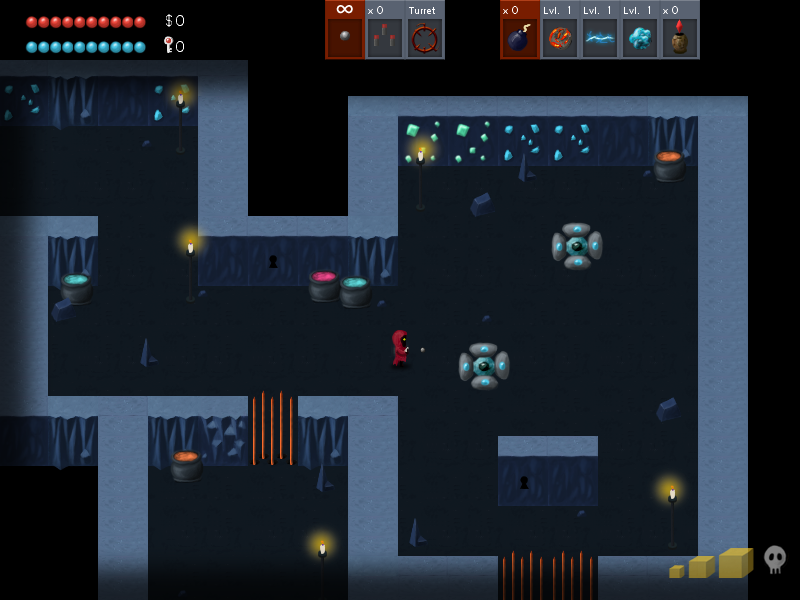 A procedurally generated action packed adventure that you and up to three other players can enjoy! Features special abilities, shops, co-op, numerous enemy variants, and boss battles. 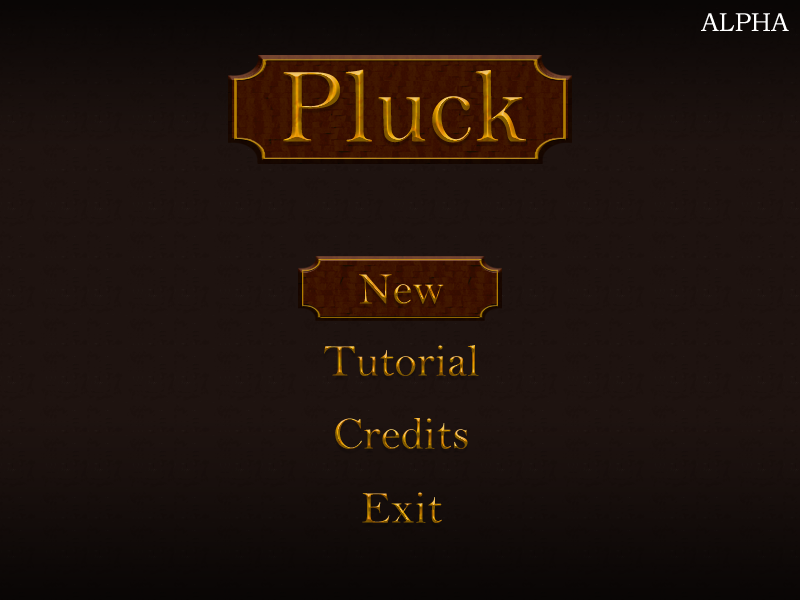 Plucks menu has been upgraded with the new logo style and buttons to match. The game looks much more polished and somewhat professional this way. A couple new enemies have been added to the game. They are: the shelled and the brains. The shelled, as implied by their name, hide when the player gets too close. When the player tries to attack them while they're in this defensive position, all shots are rendered futile. If the shelled are in their offensive state, in which they shoot projectiles at the player, they are vulnerable. Brains are only found in Nin, the hell-like world of Pluck. Players reach Nin after completing the caves. Brains can sense the player from great distances. 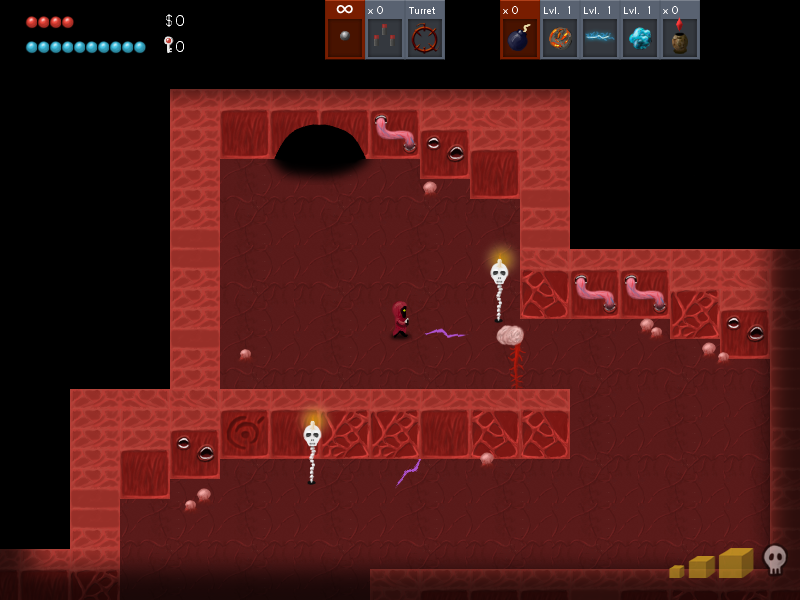 Once detected, the player is hunted by the brain, which sends out powerful mind rays (the purple bolts) that can slaughter a player in mere moments. They are definitely an enemy to watch out for. 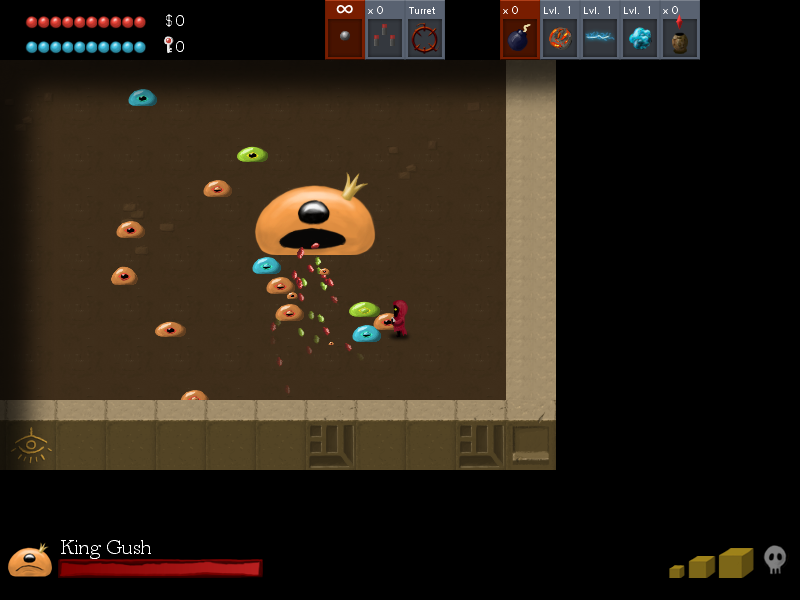 King Gush has been added to the game. He is one of three bosses that you may encounter in the tombs. The King has the ability to spew dozens of smiles from his very mouth. I liken him to Master Mold from the Marvel's X-Men. Mechanics: Exactly how does the game actually play? 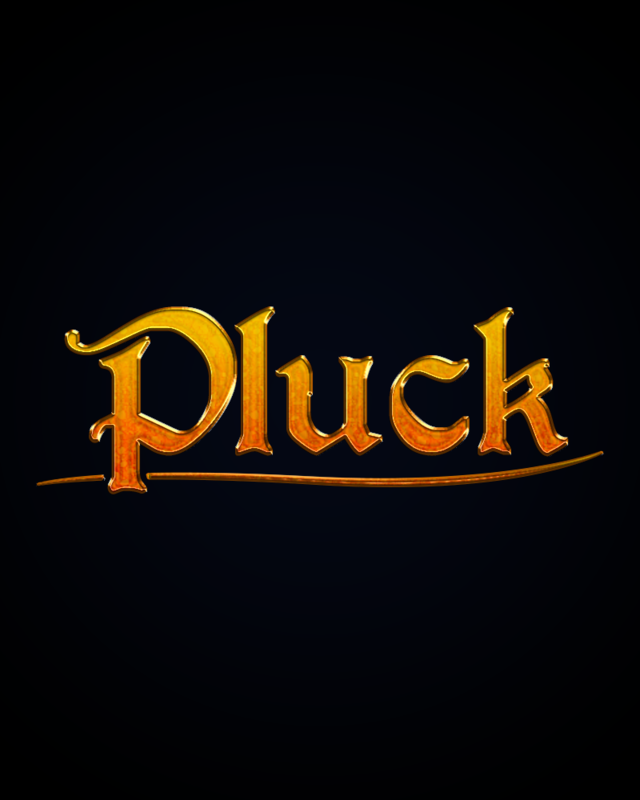 Pluck relies heavily on randomization to get the most out of the game. When you start the game, you are placed in the starter room in which the basic controls are etched onto the floor for you (very much like The Binding of Issac). Once you leave the starter room, the random level selection mechanism kicks in. You first play through a randomly chosen small level, then a medium level, then a large level, and finally a boss. You are then taken to the next world. These levels, including the bosses, are randomly chosen from a pool every time you play to keep the game fresh and replayable. You won't get to fight all the bosses in one playthrough, nor will you get to see all of the levels. There are various tomes (powerups) in the game that keep the gameplay fun and exciting. For example, there's the shroud tome which surrounds the player with a darkness that makes the level difficult to see. Tomes can do things like level up your abilities or infuse your bullets special effects. The development of Pluck is moving along very well. I hope to have a feature complete version before the summer ends.